Pump dried peach pieces and pecans in creamy Belgian milk chocolate make this taste sensation satisfying. 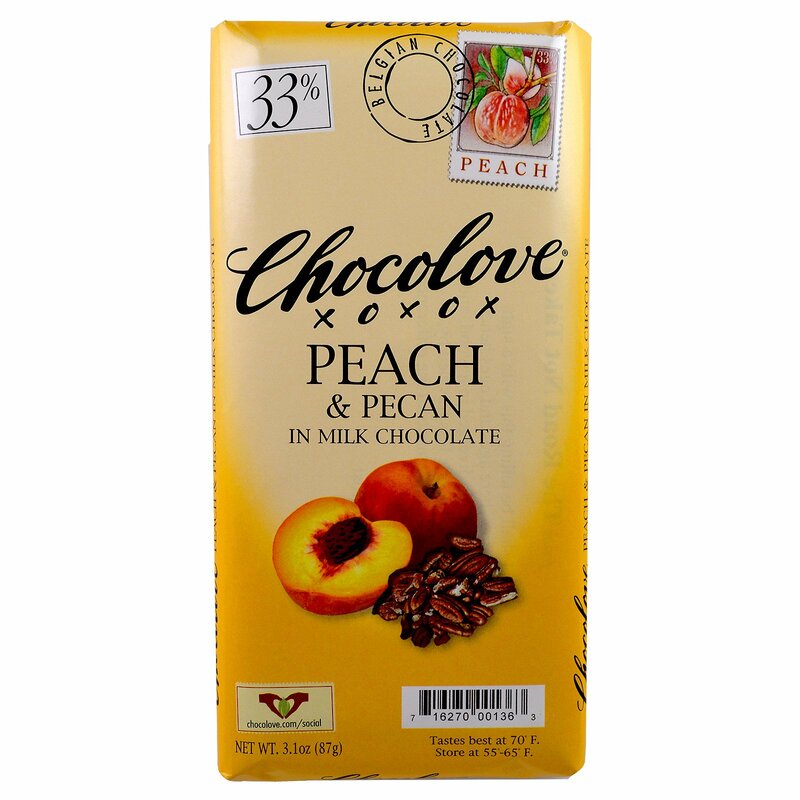 Whether it reminds you of pralines or peanut butter and jelly, it strikes a flavor you know from somewhere. 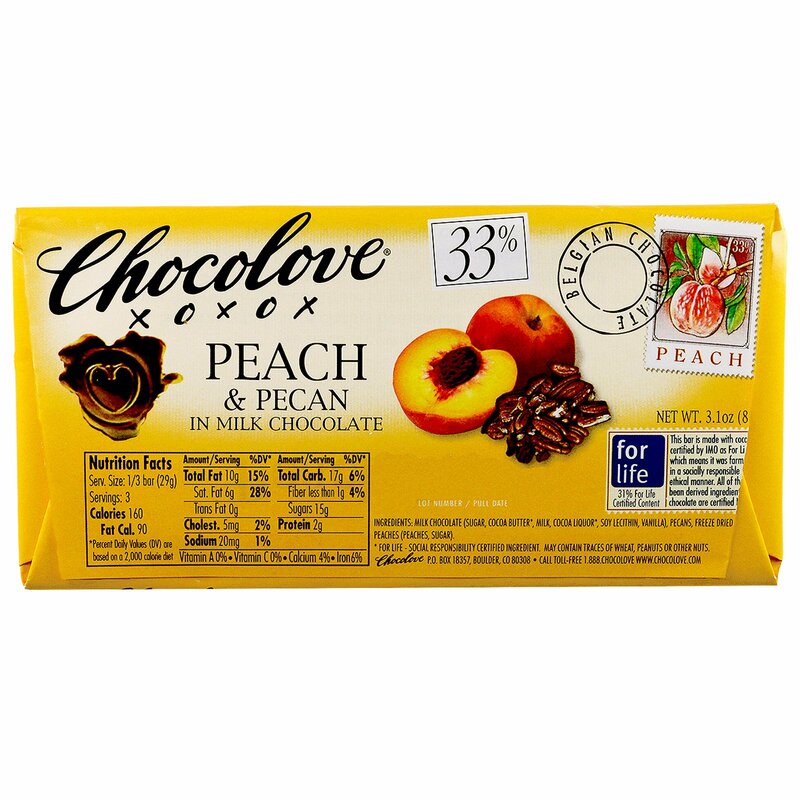 Milk chocolate (sugar, cocoa butter, milk, cocoa liquor, soy lecithin, vanilla), pecans, freeze dried peaches.